Americans fed up with their cable companies – the steep fees, lousy customer service, and restrictive “bundles” – have turned to Internet-based, video streaming alternatives. Now, moving beyond the era of cable TV companies may sound like a dream come true to most Americans. Many investors think of Canada as the land of mining stocks, and not without good reason. It's resource-rich and home to a legion of mining firms that produce everything from gold and silver to iron ore. Canada ranks among the world's top five producers of 14 mineral commodities and is the world leader in the production of potash and uranium. Of course, as a long-time tech investor I've followed many of these mining firms for a very simple reason. Materials like gold, silver, and rare earths touch a wide swath of tech products, from advanced defense systems to web-enabled autos, smartphones, and tablets. Here's the thing. Resource firms (along with Silicon Valley to the south) greatly overshadow Canada's burgeoning tech scene. Yet the nation is home to thousands of companies in computing, e-commerce, information technology, and medical devices. The trade group, the Information Technology Association of Canada, says its industry alone counts some 33,300 companies. Together, they generate a combined $155 billion in annual sales. Unfortunately, the most famous Canadian tech firm of all remains troubled BlackBerry Ltd. And yes, the mobile phone maker is making a comeback, but it is still treading water in an industry full of proven winners. 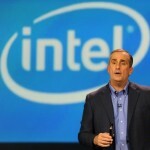 With revenues mostly stagnant for the past four years, Intel has been in dire need of a growth market. And with wearable technology, the iconic chipmaker may have found exactly what it needs to revive its stock for the long term. In November, the industry sold $1 billion worth of new vehicles a day, setting a record for that month. 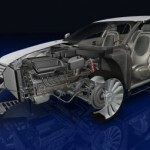 And this flood tide of new vehicles will have more cutting-edge technology than ever before, creating a perfect profit storm of two exploding industries. This is the most exciting time I've ever seen in the industry since I began tracking it 34 years ago. There have been multi-billion dollar valuations for small, unprofitable companies and soaring share prices for tech names like Facebook (Nasdaq: FB) - are we in a tech bubble? Money Morning Chief Investment Strategist Keith Fitz-Gerald joined FOX Business' "Varney & Co." this morning to answer that question. 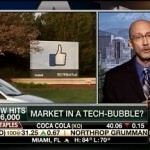 Watch Fitz-Gerald's analysis of what investors must know about the tech stock bubble. He also discusses where the market is headed and gives the name of one stock he's looking at buying today. ARM Holdings PLC (Nasdaq ADR: ARMH) - one of the world's dominant mobile-device chip companies - bought a small Finnish software startup called Sensinode Oy in a deal whose price wasn't reported. And most folks shrugged it off as just another of the thousands of below-the-radar deals that companies do every year. ARM's buyout of Sensinode is the latest reminder that the single-biggest profit opportunity currently on my radar screen is about to start paying off. And because we're talking about a $14 trillion opportunity - meaning this newly emergent tech market will actually approach the entire U.S. economy in size - I want you to see what's going on here. The technology I want to tell you about today is one of my best investment ideas. And not just because it saved my life. It can also help you avoid costly navigation errors – and not just in a car. And the drama involving location-based-service technology doesn’t end there. Last week, we explored the three technical questions central to successfully investing in technological innovation. This week, we focus on three practical questions that can make the average investor a lot of money in the early waves of innovation. All of these questions word together for one purpose. By answering "yes" to all six questions, you can dramatically increase the probability of a successful technology investment and return on your shares. And best of all, you can identify the winning companies that are poised to profit in the few key sectors that we've identified. Can this technology harness the power of other innovations to maximize its performance and sales? When exploring this question, it's important to understand how a new technology reaches its full potential. To maximize its potential, a technology must first have the capacity to fulfill what we identified in our first three questions. It must accelerate the speed and transfer of physical goods and trade. It must expedite the flow of information and capital, and provide more "bang for your buck." But this fourth question requires that the new technology integrate with other technologies that already exist, and make it possible to harness emerging innovations in a high-tech world. This is how we take an existing success and identify just which company is going to lead to a major global breakthrough. And there's one primary example that can provide the greatest lesson in the recent digital revolution.